(VEN) - Vietnam rose from 75th place among 141 countries in 2015 to 67th ranking among 136 countries in the first quarter of 2017, gaining a score of 3.78, according to the 2017 World Economic Forum Travel & Tourism Competitiveness Report. The main drivers of the country’s travel and tourism competitiveness are its natural resources (ranked 34th), cultural resources (ranked 30th) and price competitiveness (ranked 35th). Vietnam has made significant progress on its human resources and labor market pillar (37th, up 18 places) scores, thanks to a better-qualified labor force (53rd) and partially simplified regulations on hiring foreign labor (75th). Vietnam has also made exceptional improvements to its information and technology (ICT) capacity and usage (80th, up 17). At the same time, continued economic development has led to expanding business travels (further increasing three places). Security and safety perception (57th) are also making Vietnam an increasingly attractive destination for developing its travel and tourism sector. However, according to the World Economic Forum, to continue enhancing the sector’s competitiveness, Vietnam should focus on addressing environmental sustainability, lax regulations, high levels of emissions, deforestation, limited water treatment, the level of visa requirements and public expenditure on tourism. 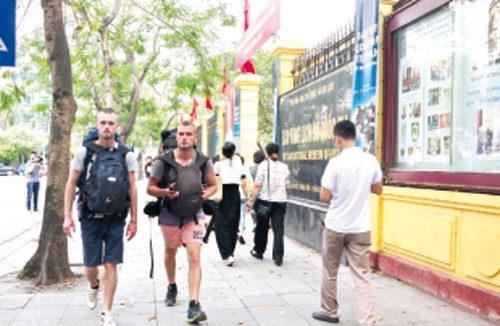 In the first four months of 2017, Vietnam welcomed more than 4.2 million foreign visitors, up 30.3 percent from the same period in 2016, while serving more than 27.2 million domestic visitors, earning total revenues of VND170.3 trillion, an increase of 25.4 percent over the same time last year. The number of visitors from China totaled 949,000 people (up 63.5 percent), from Russia 175,000 (up 61.3 percent), from the Republic of Korea (RoK) 527,000 (up 29.2 percent), and from Chinese Taipei 150,000 (up 22.4 percent). 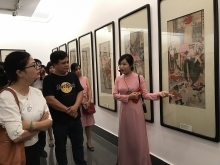 A Vietnam National Administration of Tourism (VNAT) representative attributes the high growths to effective party and government policies and the country’s political stability, good security and safety. 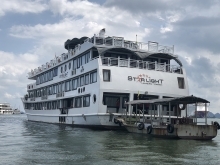 Tourist infrastructure is being developed quite fast in a number of localities, while tourist offerings are being diversified, tourism promotion is being stimulated, and service quality and management are being improved to attract more visitors. Based on the tourism sector’s positive development in the first four months of this year, VNAT has set targets for the country to welcome 12.5 million foreign visitors (up 25 percent from 2016) and 70 million domestic visitors with total revenues of VND485 trillion in 2017, accounting for 7.3 percent of the country’s gross domestic product (GDP). major markets as China, the RoK, Japan, Russia, Western Europe, Thailand and Cambodia.